I was actually quite surprised with what words did and didn�t make it on the list. Wordle gives you a pretty high degree of customization with just a few options. 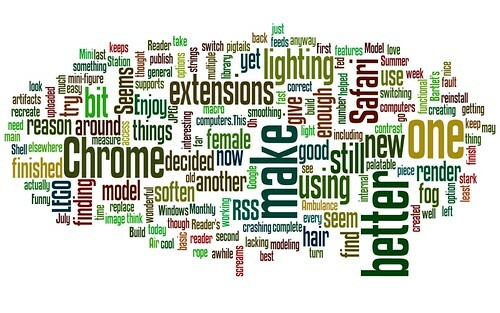 The wordle version of the image will, if you have Java installed, let you stretch it to fit your screen. If you give it a try, I�d be curious to see your results.